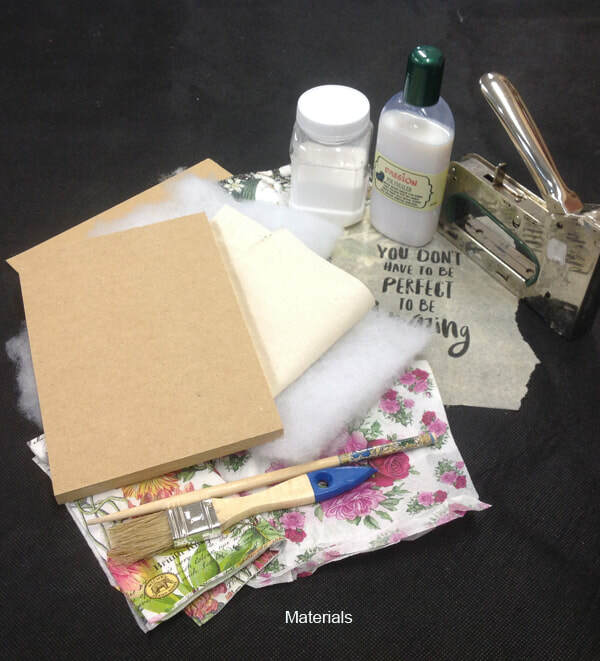 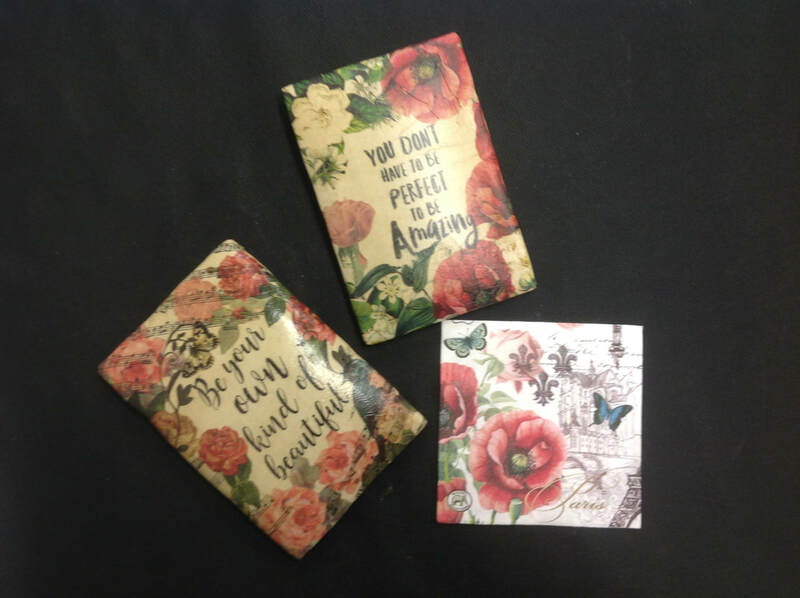 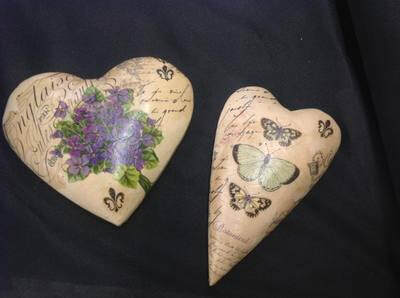 In this workshop you will learn techniques to make a decoupaged like the one on the right using printed tissue paper and serviettes. 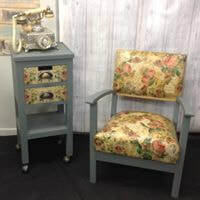 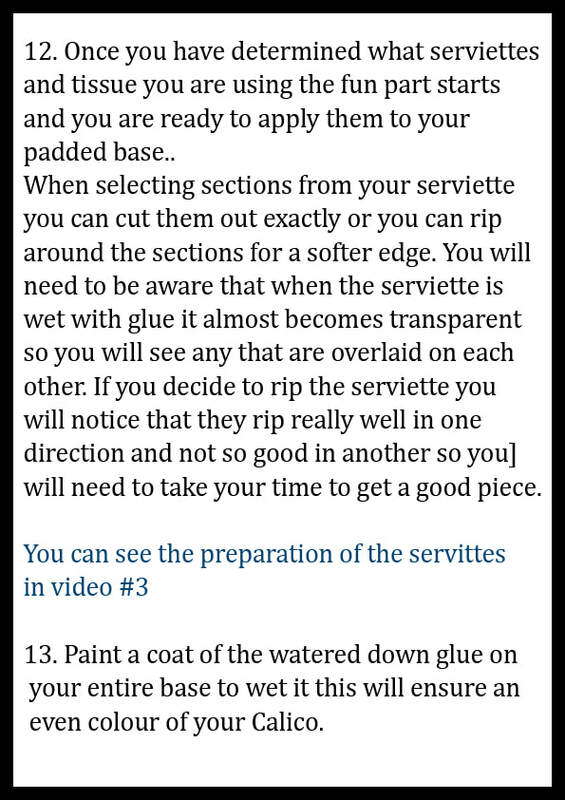 ​This technique gives the look and feel of aged antique leather, these techniques will give you the skill and confidence to tackle larger projects. 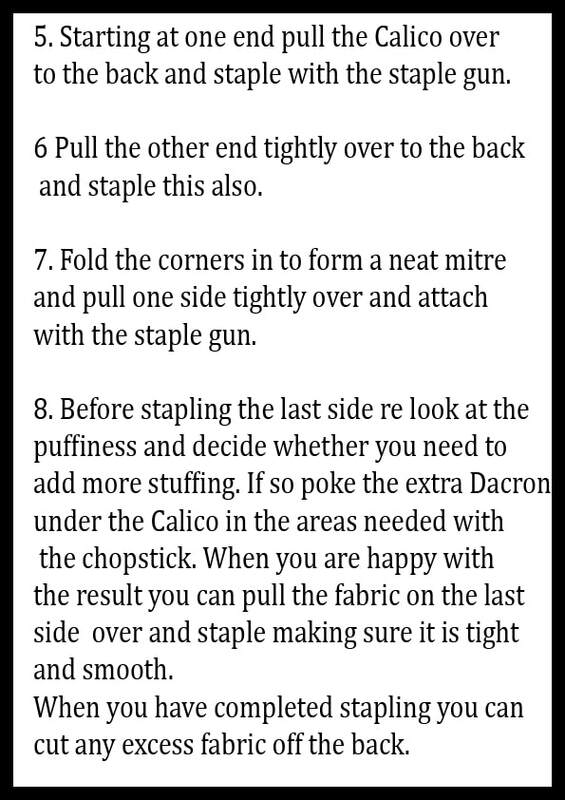 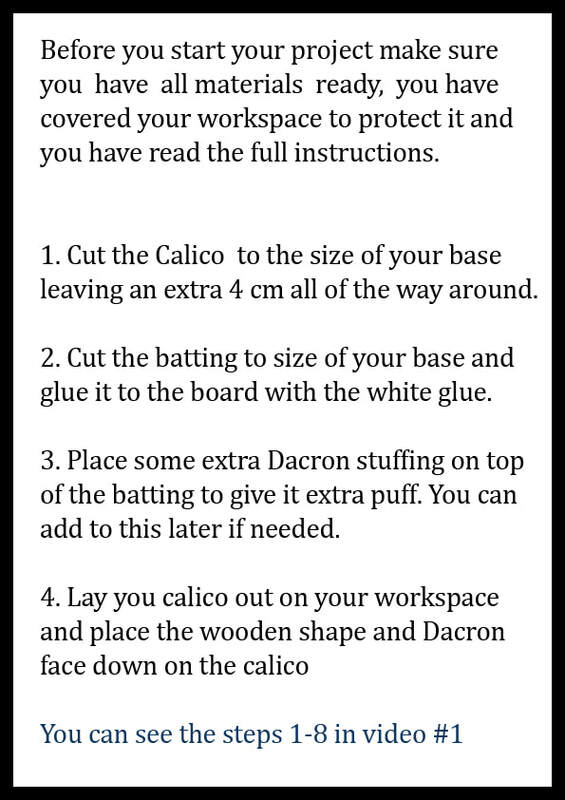 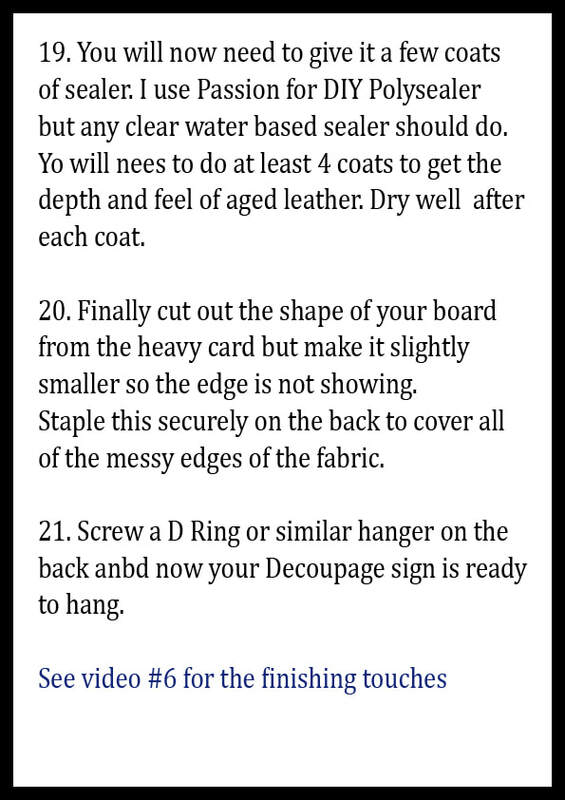 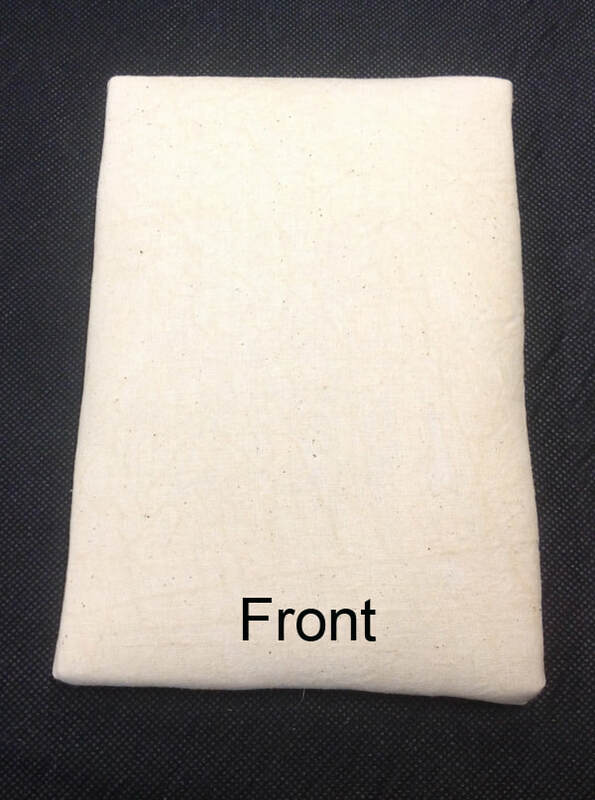 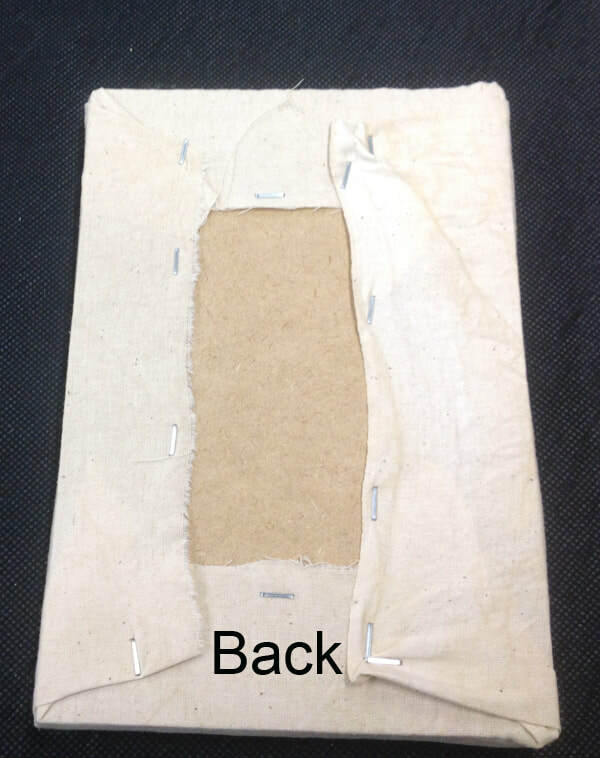 You will make a padded board for your base with Calico and Dacron padding. 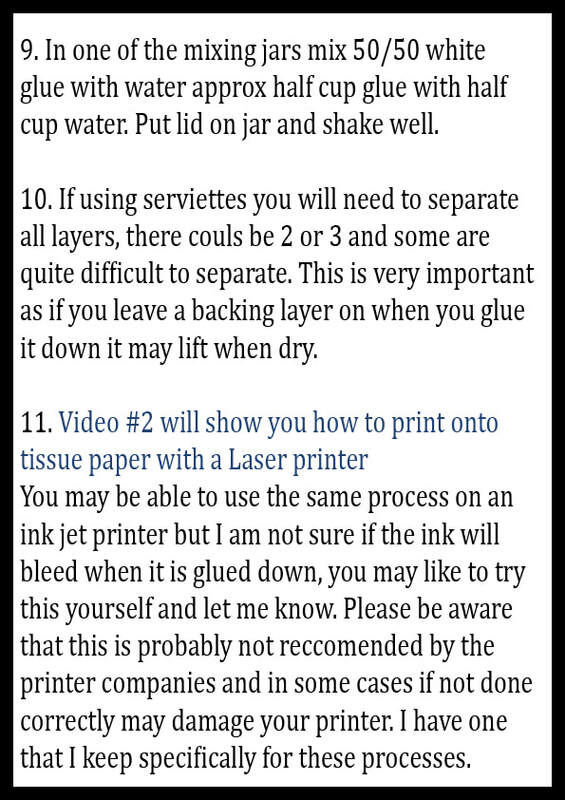 * Learn how to print on tissue paper with your own laser printer. 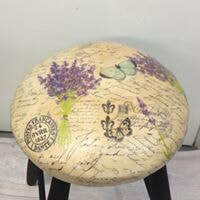 Above is the Padded Decoupage sign you will be making in this workshop. 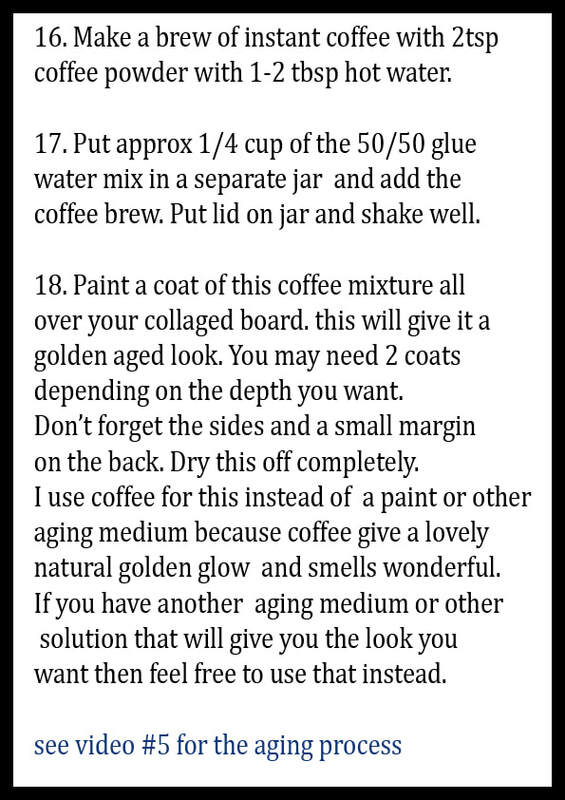 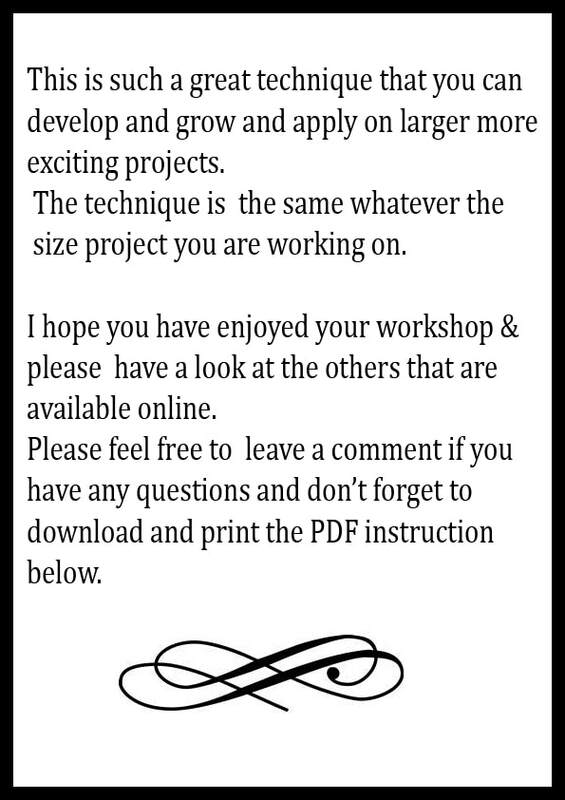 Once you have mastered this process you will be able to move on to different shapes and larger projects. 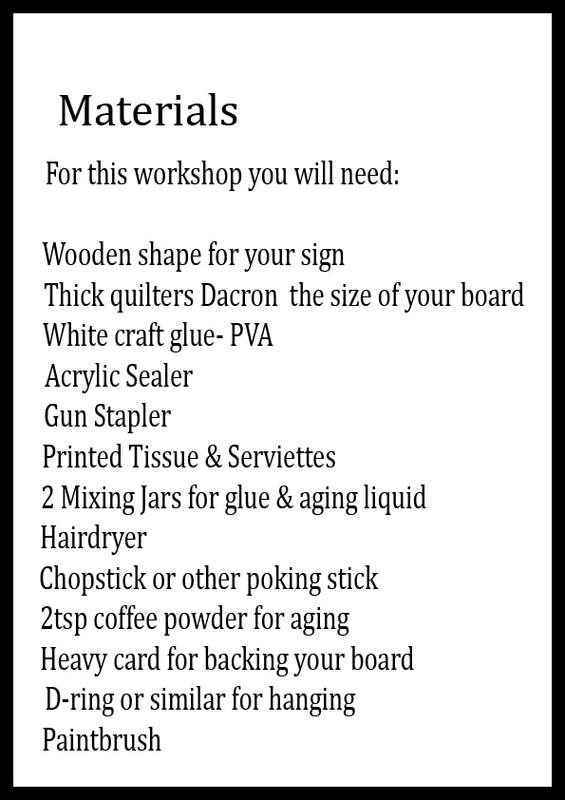 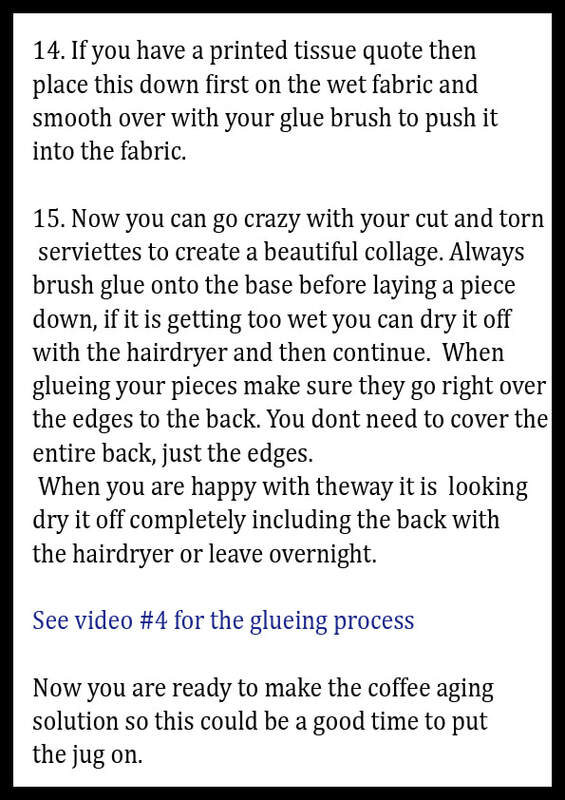 Have all materials ready and protect work surface before starting.